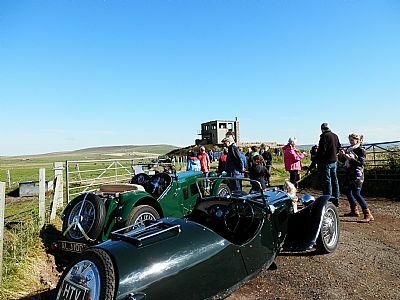 On Sunday 13th September we gathered at the disused Twatt Aerodrome to support the Birsay Heritage Trust who intend to restore the old Control Tower and Power Station, with a view to having a museum showing the importance of the airfield to the defence of Scapa Flow during WW11. A.R.G.O.S. had a magnificent display of artefacts and photographs from WW11 and this drew a large crowd. The strong wind grounded the model helicopters but they were all on display in one of the buildings and created a good deal of interest.